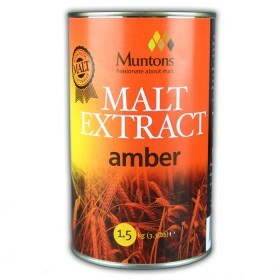 Muntons Beer Kit Enhancer contains 1kg of a blend of spray dried dextrose and spray dried malt extra..
A premium grade dark malt extract made from Australias finest 2 row low nitrogen barley. 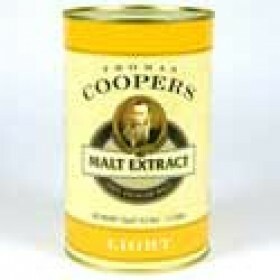 Produced us..
A premium grade light malt extract made from Australias finest 2 row low nitrogen barley. 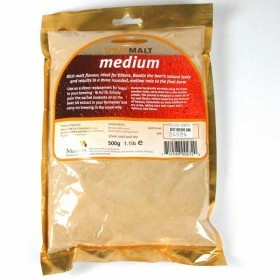 Produced u..
A superb addition to any Stout, Porter or Brown Ale. 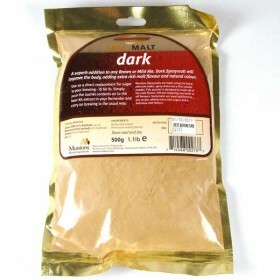 Dark Spraymalt will improve the body, adding ex..
A superb addition to any Stout, Porter or Brown Ale. 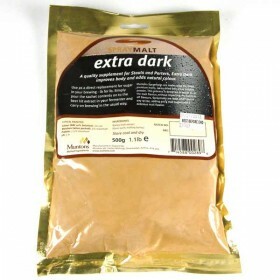 Extra Dark Spraymalt will improve the body, add..
Great for all beer styles. 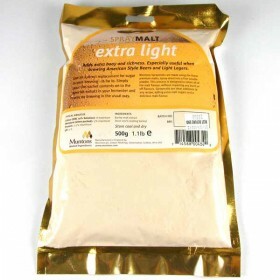 Adds extra body and richness. 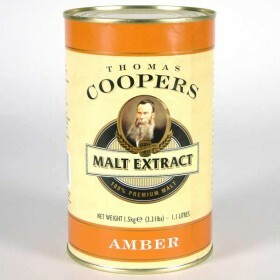 Especially useful when brewing American Sty.. 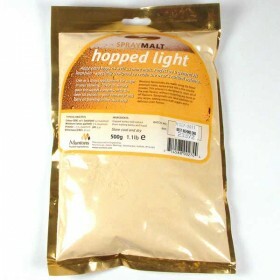 Adds extra hops as well as more malt. Perfect as a general kit improver - specially designed to reta..
Great for all beer styles. 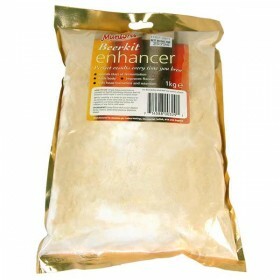 Adds extra body and richness. 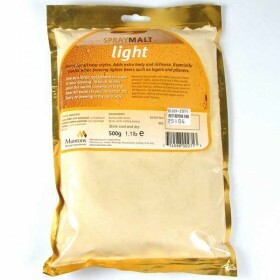 Especially useful when brewing lighter beer..
Rich malt flavour, ideal for bitters. 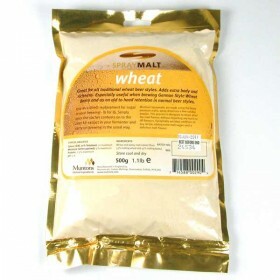 Boosts the beers natural body and results in a more rounded, m..
Great for all traditional wheat beer styles. extra body and richness. 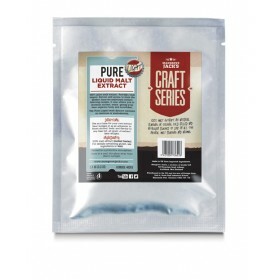 Especially useful when brewin.. 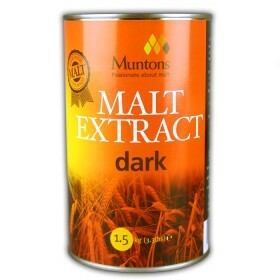 Pure Malt Extract provides vital sugars, flavour and aroma to form the perfect base for individual e.. 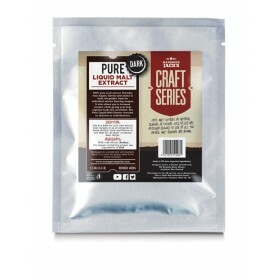 Pure Liquid Malt Extract provides vital fermentables, flavours and aroma to form the perfect base fo..
Mangrove Jacks Pure Liquid Malt extract - Dark - 1.5kg ..
Made from a blend of pale and crystal malts this product provides the ideal building block for Ale a..
Chocolate malt, crystal malt and pale malt is used in the manufacture of Muntons dark malt extract. ..